After nine years as Professional Services Manager for Softlink Americas, Maida Rubin stepped into a new role as global Customer Community Manager for Softlink’s Information Centres division. Maida describes the role as an advocate for Liberty and illumin users. 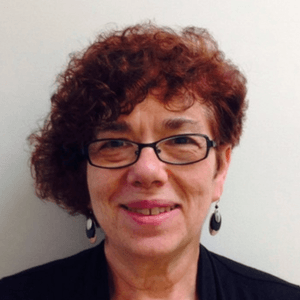 Maida has spent many years working with special libraries and technology, having started her career as a librarian and technical services manager in public libraries. Her understanding of information centre environments and the needs of information professionals has shaped her perspective on the best approach to facilitating Softlink’s customer community. Maida has been conducting Virtual User Groups for users in the Americas for a number of years and, as part of her mission to build greater connections between Liberty and illumin users, she has extended the program internationally. The first round in a series of International Virtual User Group meetings were held in late September 2016 with Northern and Southern hemisphere customers having the opportunity to connect with other users in their region. Softlink will provide the Virtual Meeting space to give these small working groups of users the opportunity to meet in an informal online space and exchange ideas. Liberty and illumincustomers who are interested in participating, are encouraged to complete a short profile survey which will assist Softlink in matching them to an appropriate user group. Click here to register your interest. Maida is encouraging users to share their stories and examples directly with her so that she can share them with other users in upcoming events and communications. If you think other libraries could benefit from something you have been doing in your information centre or library, or if you have any feedback that you would like to share, click here to send Maida an email. The Softlink Helpdesk will continue to provide customer support services. Liberty and illumincustomers should continue to contact them directly for their day-to-day support needs. The Softlink Information Centre account managers can also assist libraries who require additional functionality.